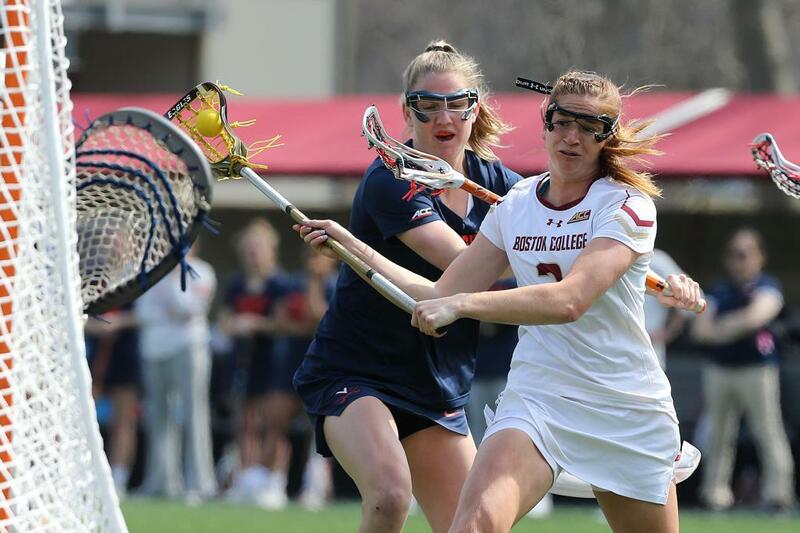 The Boston College Eagles (15-0) remained in the top spot in the IWLCA Division I Coaches Poll this week, collecting all 25 first-place votes, while Maryland (15-0) remained right behind the Eagles in the second spot. North Carolina (11-3) took down previous #3 Syracuse (13-3) by a score of 11-5 to shake up the top five and claim the third spot. Notre Dame (13-2) remained in the fourth position, and the Orange dropped to fifth. Northwestern (9-4) fell to number six, Virginia (11-5) and Michigan (14-1) remained locked in the seventh and eighth spots, James Madison (12-3) returned to the top ten to stake a claim at number nine, and Loyola (10-4) rounded out the top ten. This week’s biggest movers are a pair of Ivy League teams: Princeton (9-3) jumped four spots to #11 after beating Loyola 14-10, and Dartmouth (8-4) took down Penn, previously ranked ninth, by a 15-11 score to jump into the top twenty. This week features several Top-25 games, starting on Wednesday, when #2 Maryland travels to #24 Georgetown, and #11 Princeton visits Penn (#12). Northwestern (#6) welcomes #8 Michigan to town on Thursday, while Friday sees #3 North Carolina at #13 Duke. The weekend’s games to watch are: Northwestern at #4 Notre Dame, and #22 Virginia Tech at Virginia (#7).